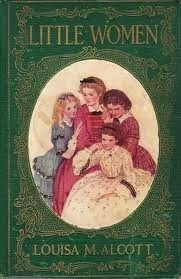 When I was a little girl, I had two favorite books: Little Women and Anne of Green Gables. * Both books had dog-eared pages and cracked spines because I read them so often. When Carrie asked if I wanted to lead out in a discussion of a classic children's book, the very first book that jumped to mind was Little Women by Louisa May Alcott. I haven't read it in a few years and would love to take a trip down memory lane. Little Women is the story of four March sisters - Amy, Beth, Jo, and Meg. Father is away because of the war and his little women are at home. Though the novel is over 100 years old, the characters are timeless. I grew up with the March sisters; with each reread, I found myself identifying with a different sister. I haven't read the book in a few years and I'm curious if I will still be able to identify with one of the girls or if I will now see myself in Marmee, the girls' mother. I hope you'll read along with me! If this if your first time reading the book, which sister do you most identify with? If you've read it before, do you identify with a different sister now than you did before? We hope you will read along. *** Many thanks to Cassandra for discussing this one with us! * Clearly we were meant to be friends! It is also one of my favorites. It's been a couple/many years since I have read the actual text, though I listen to it just about every year on audio! Carrie, I'm glad you still love us Kindle readers! Already started! I thought about skipping this one since I just read it not too long ago - but it is, as you say, a cozy, favorite read. Blissful sigh. One of my favorite books! I'd hate to guess how many times I've read it. 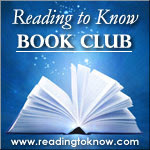 I'm so glad to see who is reading with me! I've already started the book and I'm fully enjoying my time with the March girls. The book feels so incredibly cozy.